If you’ve been caught in an embarrassing situation by the local 6 o’clock news crew, then you’ll appreciate that professional video editors often must protect the innocent by obscuring people’s faces in broadcasts, and in some cases, they may need to avoid trademark infringement by blurring company or product logos. 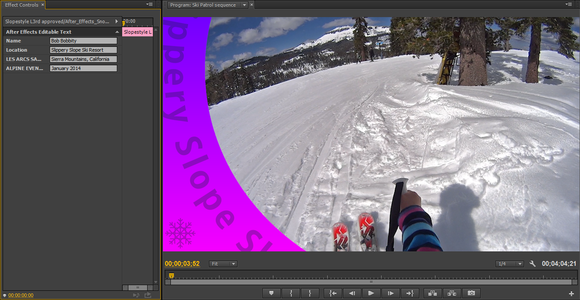 A new feature in Adobe Premiere Pro CC 2014 can make that a much less tedious task. 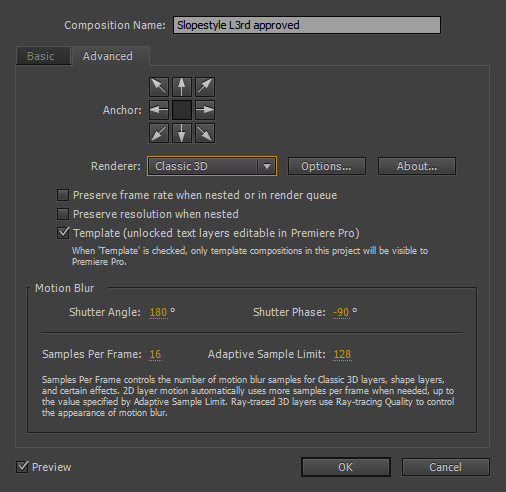 Premiere Pro CC 2014 lets you designate a "master clip," to which you can apply effects that are then applied to all instances of the clip on your timeline. The blurring process can be challenging in video, but Premiere Pro CC’s new Masking and Tracking features aim to make the process a tad easier. Select a clip in the timeline, add an appropriate effect (for example, Mosaic) to the clip, click a button in the Effects Controls panel to create a mask, then resize and position the mask over the offending portion of the video. Click another button to analyze the clip. 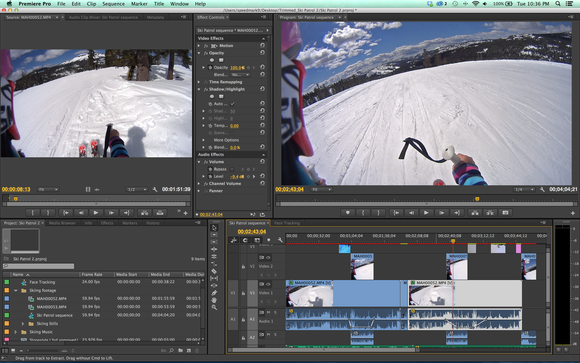 As Premiere Pro analyzes, it creates a series of keyframes—one per frame. With Premiere Pro CC 2014's new Masking and Tracking feature lets you implement a simple mask to obscure faces, and then it will track that mask as your subject moves. The process was a little slow on my getting-up-there workstation—about a frame per second—but with the right clip, it worked pretty well. The “right” clip means one in which the subject doesn’t turn away from the camera or go behind other objects, though some head movement seemed to be okay. If the subject does go behind an object, you’ll have to stop the operation, move the playhead to a point where the subject is visible, and continue the operation. If you want to obscure multiple subjects, then you must create multiple masks, and perform the tracking operation multiple times. The key to success with this procedure is to position the mask over relatively constant portions of the frame—inside the borders of a face, or over the solid background of a T-shirt. As with previous versions, you can incorporate motion graphics created in Adobe After Effects into Premiere Pro projects. Now, however, you can edit the text of those graphics without leaving Premiere Pro. 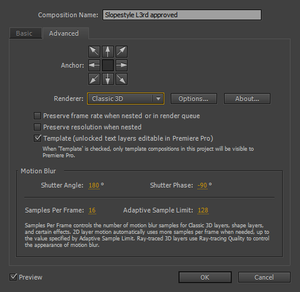 You must have After Effects installed, too, and you must have enabled an option to unlock the text layers in After Effects before you add the graphics composition, but if you’ve done that, you can see the text layers as lines in a Premiere Pro panel, in which you simply retype what you want. You can’t change text properties or spacing, and you certainly can’t change anything else in the After Effects composition. But this feature can be really useful if you often reuse graphics—and, say, all you want to do is change the date or a name. If you do need to update colors or other elements of your motion graphics, you’ll have to do so in After Effects, but when you do so and save your work, the graphic, of course, will get updated automatically in Premiere Pro. For you to be able to make text edits to After Effects compositions, you must have After Effects installed and the "Template (unlocked text layers editable in Premiere Pro" option turned on in After Effects. A useful feature in Premiere Pro is that you can select a clip in the timeline, then use “Paste attributes” with other clips in the timeline to copy all of the first clip’s effects and effects implementations. Using this feature can ensure some consistency, but it can be time-consuming, and if you change one clip’s effects, you have to go back and use Paste attributes all over again. But now Premiere Pro lets you designate a “master clip”: Display a clip in the Source window, drop effects onto the Source window (not the timeline), and wherever that clip appears in the timeline, the same effects and effects implementations will be seen. It has to be one clip; you can’t “link” different clips. Premiere Pro still has adjustment layers, which affect multiple clips under them in the timeline, and you can still add effects to individual clips in the timeline, of course. Adobe touts new TypeKit support in Premiere Pro CC 2014, but really, it’s just a new link under the Title menu that says Add Fonts from TypeKit. Clicking it opens TypeKit.com in a browser window; there, you can select open-source fonts for free. But it all happens outside of Premiere Pro—unlike in Dreamweaver CC 2014, which provides a fonts display window. Any fonts you select on TypeKit.com get synced with your system via the Creative Cloud application, not Premiere Pro; afterward, you can use the fonts with any of your applications, not just Adobe ones. You’ll need to restart Premiere Pro before you can use the fonts. You can now make simple text edits to After Effects motion compositions in your Premiere Pro projects. Now that 1080p content has become old-school, it’s nice to know that Premiere Pro is improving its ability to handle 4K media. It supports GPU-accelerated debayering (processing or converting) of Red 4K media, so you don’t need Red’s dedicated $4750 expansion card for that. Adobe says you’ll still get “slightly better” performance with Red’s card, but GPU acceleration should be loads faster than software-based processing. Premiere Pro CC 2014 formally supports GPU acceleration with even more graphics cards, too, but it still allows you to turn on GPU acceleration with almost any graphics card that has a minimum of 1GB of VRAM. When I installed Premiere Pro CC 2014, it did not replace Premiere Pro CC, its predecessor; you’d think that a so-called cloud-based application would simply update itself. Adobe says this was a conscious decision made because projects that have been created or even opened and then saved in Premiere Pro CC 2014 cannot be opened in Premiere Pro CC, and certainly not in Premiere Pro CS6, if you’re clinging to that version. See a features comparison of Premiere Pro versions. The only difference between the Mac and Windows versions of Premiere Pro CC 2014 is that you can’t encode to Apple’s ProRes codec on Windows machines. I don’t have any significant gripes about Premiere Pro CC 2014, but even if I did, it’s possible that they might be addressed as soon as I opened my mouth: The application received significant updates in June, July, and December 2013, and again in June 2014 (this release). It’s a cloud application that doesn’t actually live in the cloud or provide access to cloud-based processing power, but it is certainly reaping the benefits of a cloud application’s update schedule. Adobe provides even more tweaks and features to its video editor -- all of which make for a better program.